A customer’s first impression of a business is extremely important, and often is the basis on which a customer forms his or her initial opinion of the business and its worthiness of earning the customer’s patronage. Often the first impression is the entrance to a business. Hence, it is vital for every business to pay close attention to its image in the eyes of its customers. Whether you own a retail store or a first class hotel, your image can either hinder or enhance your success. The choice is yours. Ignore your image and potential customers will ignore your business and go elsewhere. Polish your image, and potential customers will likely choose to do business with you instead of the competition. Exterior Cleaning Services, Inc. is committed to helping you polish and maintain your image. 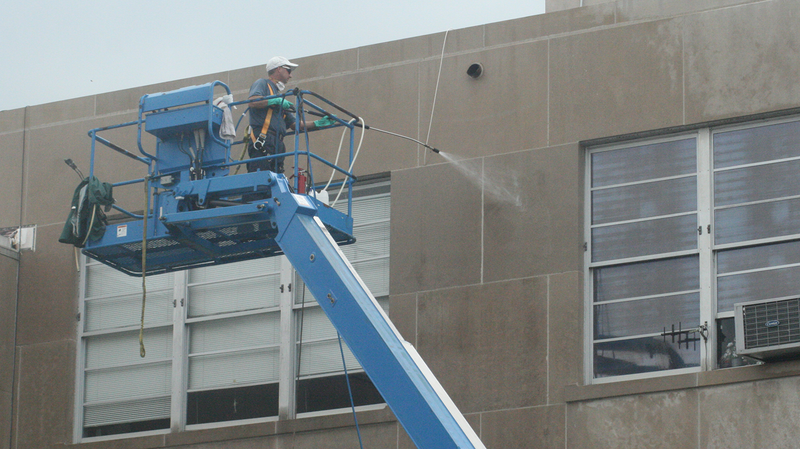 We can provide a comprehensive image enhancement program through pressure washing. Give us a call, you will not be disappointed. We clean store fronts, parking lots, gas stations, and c-stores. We clean multi-story office buildings, hotels, etc. We can remove gum, oil, food spills, etc. from floor/driveway surfaces.